Happy Wednesday y'all! :) Even though its raining here in Utah(which I'm actually totally loving) we have been having some really good weather lately. 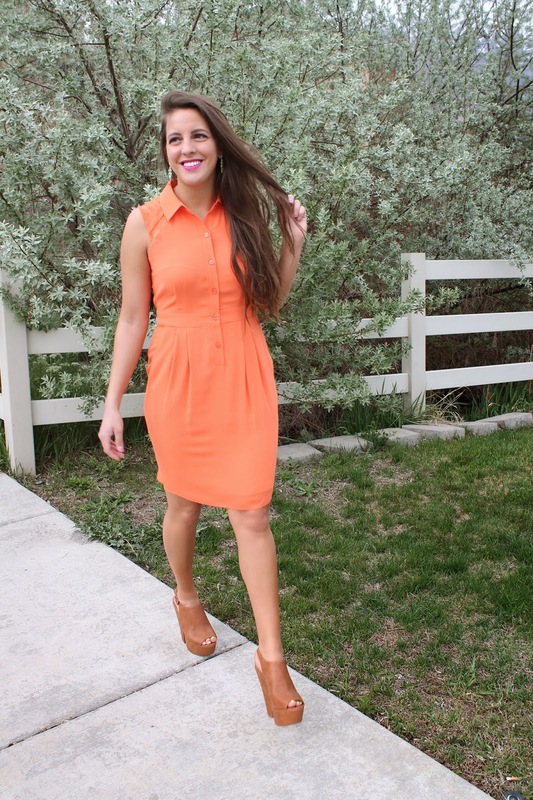 I love everything about Spring, and I love that we can wear dresses like this! This Muse dress is my favorite. 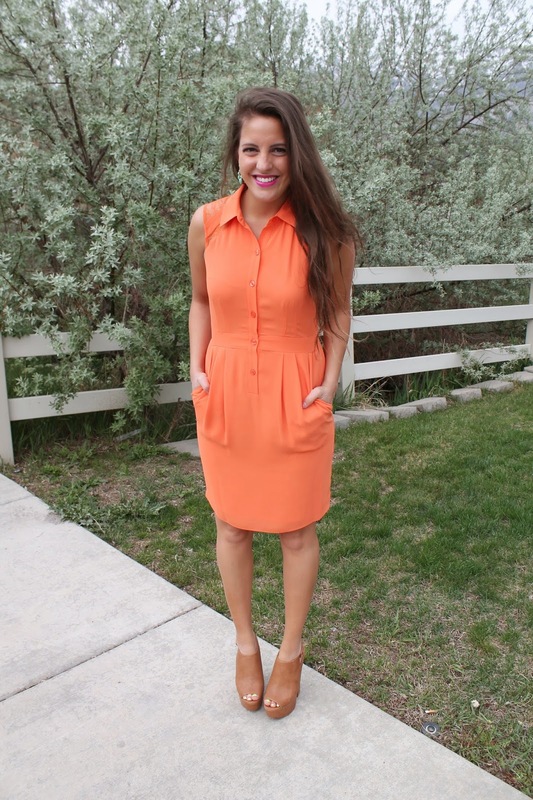 I love the bright color, and its just such a stand out dress! Orange is actually a color I really like to wear, its not one that gets noticed a lot, but its so pretty and warm. This dress is so light and so airy, its the perfect dress for days you feel like you need a light dress when its hot out. And I'm obsessed with the detailing! I love the lace around the shoulder areas and how it goes onto the back. Any time you have lace in a piece of clothing, you are going to feel ultra feminine. I paired this warm toned dress with cool toned earrings. 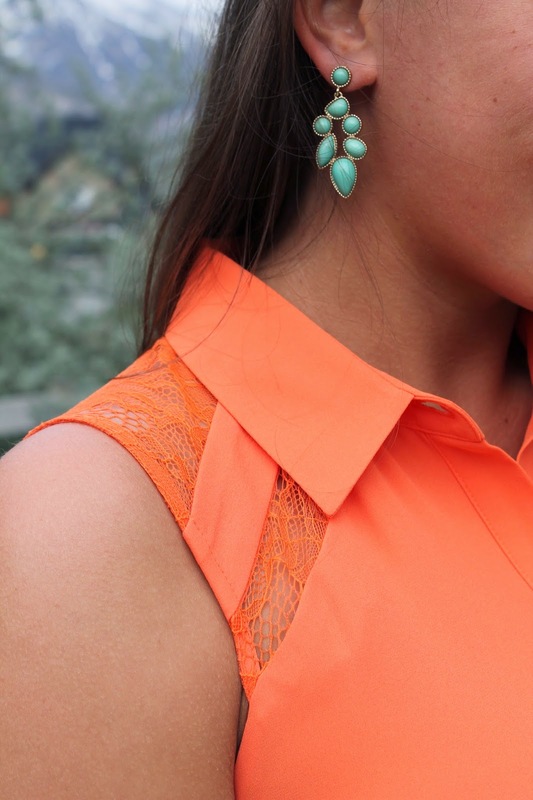 These earrings are from Everly and Ace, and they are the perfect addition to this outfit. I love the color, and design of the earrings. Already the earrings can go with so many different things, but I loved pairing it with a warm toned piece. I feel like they contrast really well together. Orange and turquoise one of my favorite combos! Oh my gosh, this dress is SUCH a gorgeous color! Looks amazing with your tan... which I'm super jealous of! You really suit orange as its the perfect shade for your tanned skin. The dress goes really well with your shoes and I just love your hiar! This is a great dress! I love the color! Stopping by through the link-up! Have a great day! Your hair is so long! It's beautiful. Love your earrings:)!